emotional marketing online - how you can sway customer purchase intent. you are here: back home. 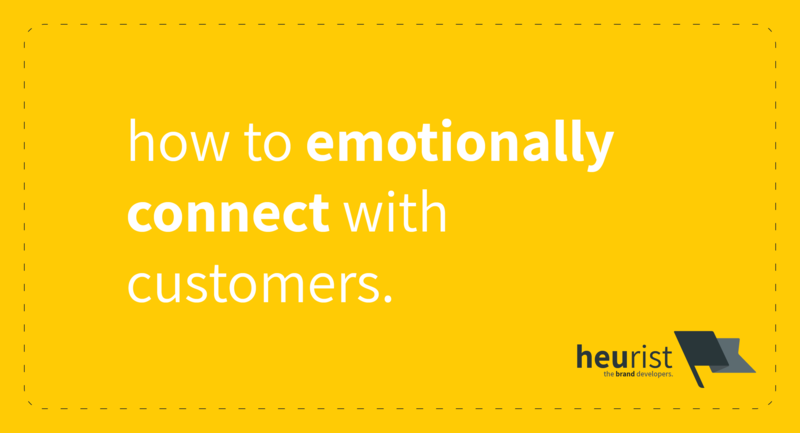 › our-thoughts › how to use emotions in online marketing. emotions, sensations, and customers: what online marketers need to know. Online marketers are at a disadvantage. They need to constantly come up with innovative ways to emotionally connect with their customers. This article shows you how to do exactly that. This article is based on our answer in a Reddit thread. The original post asked about how emotions influence decisions in the online buying process vs. the traditional process. We were very interested in the question, but unfortunately the thread didn’t catch on like we’d hoped. We had our fingers crossed for an in-depth discussion about the psychology of marketing but, alas, that we did not get. So we decided to explore it in article form instead. Enjoy. How do emotions affect the buying process? We’ve recently investigated the link between the emotionality of brands and how they become famous (here). Jonah Berger talks about this concept in a couple of books, but we specifically looked at a paper  that told us that the emotionality of content has a direct link to whether people will share it. So, from a purely marketing point of view, we see that popularity depends on emotion. It would then follow that buying process (in general) would be largely affected by emotions in the same way. From a quick squiz of our psychology text, we found that ‘attitudes‘ (defined as a set of beliefs/feelings/intentions towards something) are affected by emotional and cognitive processes, that ultimately lead to some kind of behaviour or conation . So, we can be fairly certain that the nature of the emotions and cognitive processes that a product elicits in the mind of a consumer has a direct link as to whether they’ll intend to buy it. Why are multi-sensory interactions important for marketing? We know that the emotions are linked with driving purchase intent. The next question is, how do marketers create or influence these emotions? Apparently, the answer is in sensation, and the 5 human senses. Smell is a powerful sense. It can impact emotions subconsciously, without requiring any form of conscious thought. Naturally, the physical senses – the sense of smell in particular – are fantastic tools to exploit for marketing purposes. So naturally, any marketer should endeavour to maximise the application of multi-sensory experiences in the buying process, right? Yes. But that doesn’t work so well online. Cue the next section. Online marketing is at a disadvantage. The buying process in a traditional1 setting is often subject to all 5 of the senses. Say food, for example. You can see it, smell it, hear it being made, and ultimately touch/taste it at a restaurant. Things get tricky when we have to market it online. This was the crux of our Reddit answer. Our point of view as marketing/brand/UX strategists is that while online marketing typically opens the door to interacting with a vast number of people simultaneously, it has a major drawback in the lack of sensory modes through which it enables customers to interact with products. In contrast with our previous restaurant example, consider ordering through Uber Eats or Menulog. Doing so requires you to assess food purely visually; you’ve made the purchase before you get to even smell it. This places a huge task ahead of online media to facilitate the online buying process: they need to create the same emotions but have fewer sensory modes (i.e. tools) with which they can do so. In all, this suggests that online marketing is heavily restricted in its ability to drive purchase intent, having been relegated to using the senses of sight and sound alone. How can online marketers fix this problem? With all this, we know that emotions play a huge part in the customer’s intention to buy. We also find that the online sales process requires different strategies to elicit the emotions necessary to coax customers into buying products. In essence, online marketers are often tasked with finding innovative ways to express – in 2-sensory-dimensions – a 5-sensory-dimensional product experience. So, instead of eliciting emotions in a primal way (through smell/touch/sound/taste), online is left to use visual (and sometimes auditory) means to either emulate other senses or otherwise try and work backwards to ‘remind’ people of smells, tastes, and such that will elicit the emotions they need to facilitate a purchase. Fake it till you make it: getting past the sensory barriers. According to Peck & Childers , humans are capable of visually inferring the material properties of products – we can visually gauge texture, size, weight, and so on. Going further, we can imagine what a product may smell like, or even taste like if it were described to us. Creating audiovisual content such as videos of the product, in a way that illustrates its material properties, or even describes other properties such as its smell or taste if relevant. Encouraging product reviews whereby the reviewer illustrates, demonstrates, and describes the product. 84% of people would trust a review online as much as a personal recommendation. So if one customer were to purchase a product, experience it, and subsequently advocate for it – they could express (in 2-sensory-dimensions) the emotions they had for it, and the sensory experience of interacting with it. Then would then act as a trustable proxy for a 5-sensory-dimensional experience of a product. Online marketers should therefore spend a decent amount of time creating videos to demonstrate the physical experience of their products, encourage word-of-mouth referrals where people describe the product to friends and family, encourage 3rd-party reviews, and promote the spread of both in-house and customer/reviewer videos to compensate for the lack of the physical connection that could otherwise be had if they were to market a product by traditional means. So, what should you take away from this article? Emotions play a massive role in making purchases. Both online and traditional need to elicit emotions to drive purchase intent. However, the way that online and traditional buying processes elicit emotions has to be fundamentally different because online interactions are limited in the number of sensory modes through which an organisation can interact with its customers. Online marketing has an upward battle to emotionally connect with customers: If you are choosing to market your product online, then you should be aware of the fact that your product or service is heavily handicapped in its ability to evoke the emotions it needs to be able to sell itself. But, there are ways around it. Creating videos is one great way of getting past the sensory barrier – you can illustrate what your product feels like, describe how it smells, what it reminds you of, the emotions it evokes in you, and so on. Of course, if you want people to trust the video, it’ll probably have to be created by someone else – an independent 3rd party – reviewing or otherwise advocating your product for you. One way or another, it does not look like there is a perfect alternative for the ability to physically see, hear, feel, touch, smell, or taste a product like there is in person. Not yet, anyway. Until we can create multisensory experiences for people to virtually engage with a product, we’re going to have to rely on coming up with clever ways to use visuals and audio to make online sales work for us. 1: We assume the ‘traditional’ buying process as the act of purchasing products or services that require a physical interaction with the sales team, environment, or product itself. J. Berger and K. Milkman, “Emotion and Virality: What Makes Online Content Go Viral?,” GfK Mark. Intell. Rev., vol. 5, no. 1, pp. 14–23, 2013. N. R. Carlson, G. N. Martin, and W. Buskist, Psychology, 2nd ed. Essex: Pearson Education Australia, 2004. E. A. Krusemark, L. R. Novak, D. R. Gitelman, and W. Li, “When the Sense of Smell Meets Emotion: Anxiety-State-Dependent Olfactory Processing and Neural Circuitry Adaptation,” J. Neurosci., vol. 33, no. 39, pp. 15324–15332, 2013. Y. Soudry, C. Lemogne, D. Malinvaud, S. M. Consoli, and P. Bonfils, “Olfactory system and emotion: Common substrates,” Eur. Ann. Otorhinolaryngol. Head Neck Dis., vol. 128, no. 1, pp. 18–23, 2011. M. Lindström, “Brand sense,” Auto-Tech Bus. B. Summ., vol. 15, no. 1, p. 16, 2006. J. Peck and T. L. Childers, “To Have and To Hold: The Influence of Haptic Information on Product Judgments,” J. Mark., vol. 67, no. 2, pp. 35–48, 2003. J. Peck and J. Wiggins, “It Just Feels Good: Customers’ Affective Response to Touch and Its Influence on Persuasion,” J. Mark., vol. 70, no. 4, pp. 56–69, 2006. Statista, “Do you trust online customer reviews as much as personal recommendations?” [Online]. Available: https://www.statista.com/statistics/315755/online-custmer-review-trust/. [Accessed: 04-Oct-2018].